Garver employees came out to support the Big Dam Bridge 100 last Saturday by joining approximately 2,500 cyclists and by hosting a rest stop in the parking lot of our North Little Rock, Arkansas headquarters. 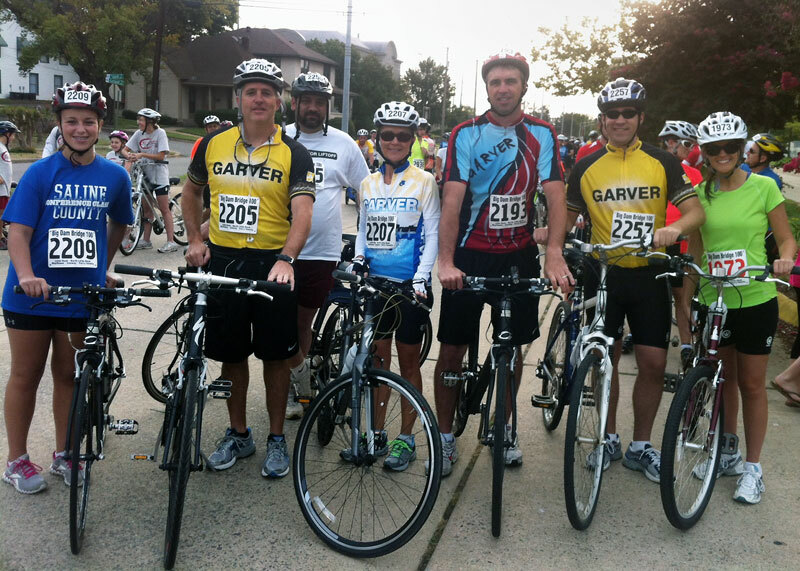 A number of Garver employees and their families tackled routes that ranged from 15 to 100 miles. Although some of them were a blur as they went by, we spotted Bert Parker, Brent Anderson, Beverly Green, Nancy Fulmer, Patricia Edwards, David Gambill, Robert Sunta, John and Deanna Ruddell, David Yandell, Madison and McKenzie McEntire, and Adam and Stacey Hall. A special congrats goes out to Diane and John Barton and Derek Berry for completing the 100-mile ride. 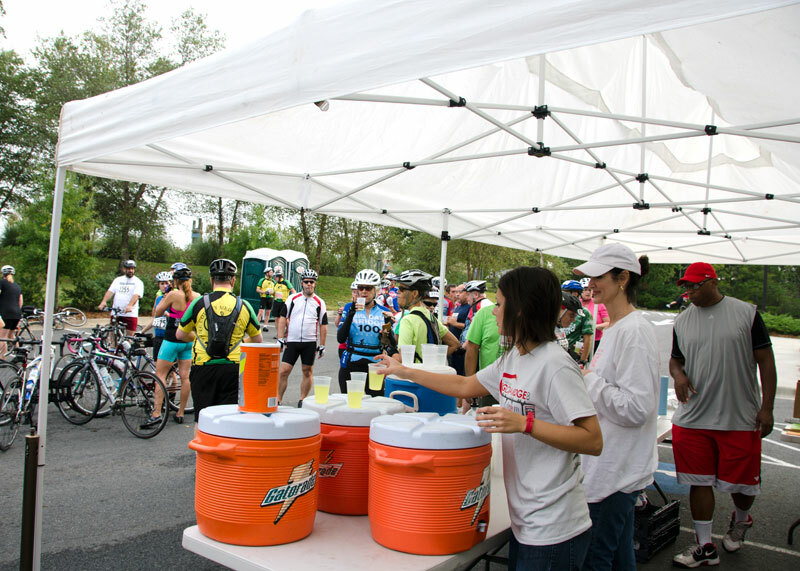 We again hosted a rest stop for cyclists riding past our corporate office. Liz Hoover, Kate Hoopchuk, Chad Clinehens, Laura Nick, Larry Taylor, and Lawren Wilcox greeted participants with Gatorade, fruit, PB&J, pickles, and even music from loud speakers we'd set up. Garver also served as a sponsor and designed this year's jersey. According to ride officials, the first round of 550 jerseys sold out, and a second order will be placed around October 17. It's not too late to order one! Visit our Facebook page to see more pictures from the event, and be sure to ride with us next year!